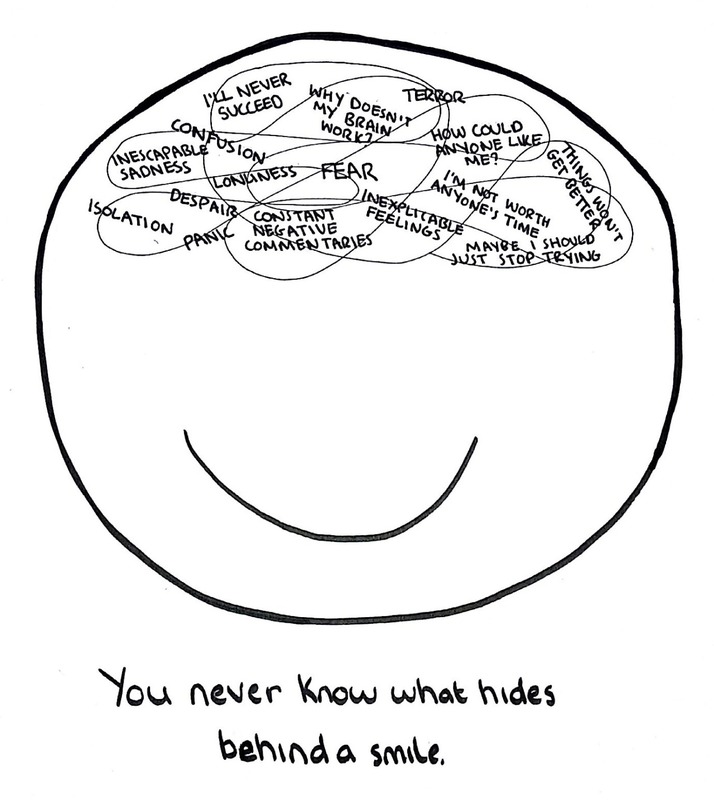 The Doodle Chronicles is a collection of doodles documenting my life with mental illness. 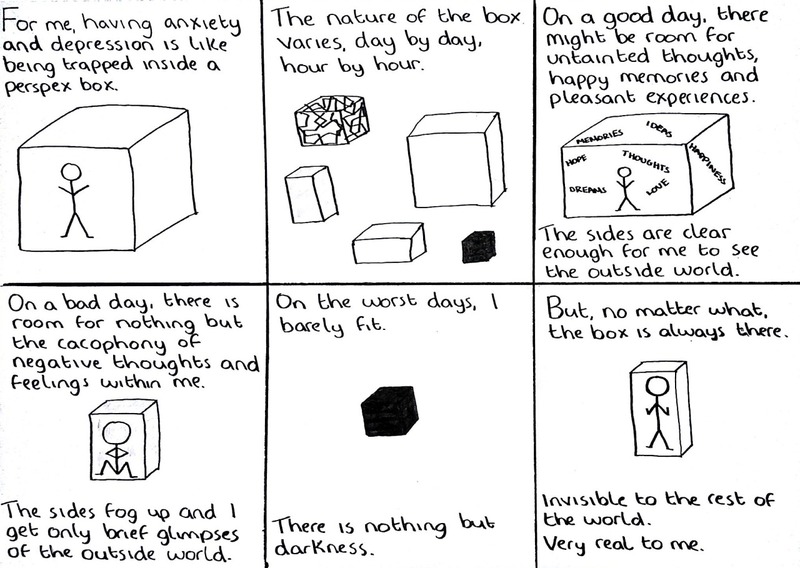 Although starting as a very personal project, after encouragement from friends and family I decided to share my doodles publicly with the hope of raising awareness, breaking down stigma, and offering help and support to other people suffering with something similar. 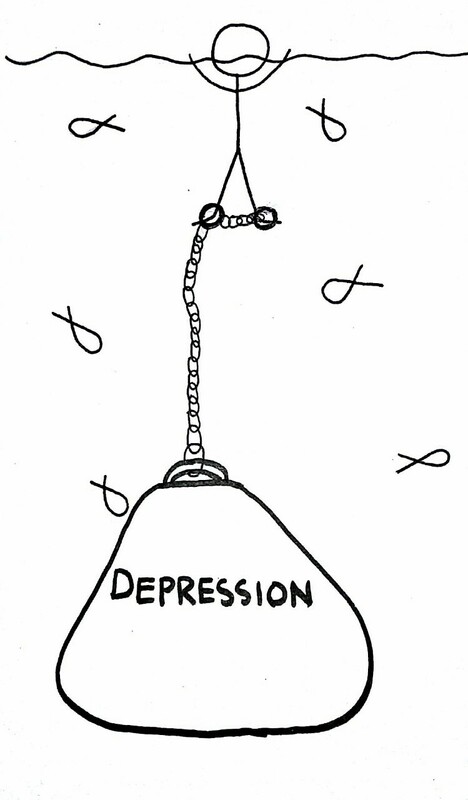 If even one person can have a better understanding of what it means to have clinical depression or an anxiety disorder, or if just one person can feel a little less alone in their suffering and know that there will always be a supportive listening ear available through me, I will be happier than I could ever put into words. I have been overwhelmed with all of the wonderful support and positive feedback about my doodles and couldn't be more grateful to all who have shared, commented and gotten in touch. If I could thank each and every one of you personally, I would. But this unexpected enthusiasm has meant that The Doodle Chronicles is taking up much more of my time and money than initially expected. While all of my doodles will remain free, Patreon provides a way for those of you who have asked how you can offer ongoing support to pledge as much or as little as you wish for each new doodle (please note that you can also set a monthly maximum - which I recommend you can do). By pledging, you will allow me to continue to focus the same levels of time, energy and money on the doodles, getting content and support out to everyone who wants and needs it - you will also have access to patron-only content, have access to new ways to interact with me, and be able to view a special patron-only news feed. As a struggling postgraduate student, even the smallest amount will make a huge difference. I know that times are tough and there is absolutely no obligation or expectation that anyone will pledge. I am still slightly in awe that people have requested something like this! But I can promise that every single penny that is raised will be reinvested 10-fold in time, energy and money spent on The Doodle Chronicles. A5 signed print of any suitable doodle of your choice (please note, any of the 'comic strip' type doodles will likely not be of good quality at A5 size, so I would recommend one of the others instead).